Did you ever dream of learning to fly? Like so many other people, you might have dreamt of learning to fly and enjoy this exceptional activity letting you take pleasure in observing the World from above. Flying is a strictly regulated activity to ensure the security requirements for all, and thus needs a thorough and lengthy treating. It also needs costly infrastructure, so the cost even of obtaining a Private Pilot Licence is correspondingly high. But if flying is your dream, and you are ready to renounce on other pleasures of life to reach that goal – like for instance owning a car, going on vacations, and others, working hard and concentrating to reach that aim may lead you to it. 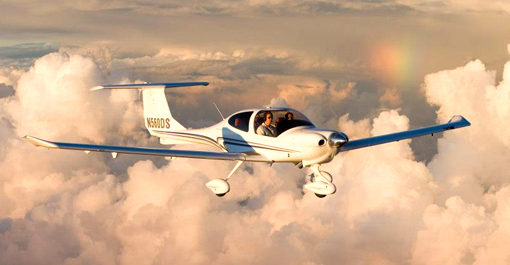 Before you even start lessons at an approved flying school you can inform yourself about the basics of aerodynamics, the details and phases of flights, the various available flying machines etc. by reading books, specialized magazines and websites. This will make your theoretical learning easier. Well, let’s suppose you started saving for your flying lessons and want to get more detailed information. 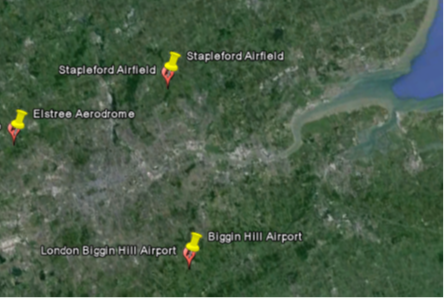 Around London there are several flying school with their own airport and training airplanes – and of course highly qualified instructors – who offer flight training. Of course you will need to prove excellent health to be able to obtain a flying licence. One of the larger flight training centres is the North London Flying School http://www.northlondonflyingschool.com/ , with their activity at Elstree Aerodrome. 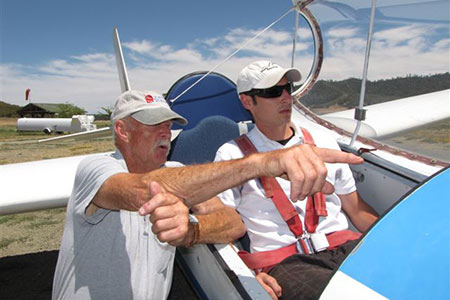 They offer all types of flying lessons, including of course the Private Pilot Licence. However, any youth dreaming to fly will probably not have the financial means to aim too high. That’s why some schools offer modular courses, allowing for some working time between the various stages of flight training. Also, enthusiastic youth may try to do some voluntary work in a flight club, like the cleaning and washing of aircraft, and help out in the clubhouse for instance. This will allow them to already experience the “flying environment”, and for sure learn some important information about flying. And maybe – from time to time – an instructor will allow him to sit in the back of the airplane when he instructs his student. In general, the entire Private Pilot course until obtention of the Licence will require at least 35 hours of double flight with an instructor, plus 10 hours solo flight and preparation flights for the final exam. It may cost among a minimum of £4’000 to £6’500. The advantage is that you can rent a single-engine airplane anywhere in Great Britain or even Europe, and share wonderful flights and adventures with your family and friends. You may also do some light work flying. If you think that to be an astronomical figure which is impossible to reach, you still shouldn’t despair. There is an alternative way of flying: flying a micro light plane. There are many types of them, from the mini-version of larger single motor airplanes to motorized flexible wing planes and gyrocopters. To learn flying a miclro-light plane you will need only 25 flight hours – and cheaper equipment – and thus you may get an NPPL (M) licence instead of a Private Pilot Licence. The difference is that it will be limited to the U.K. , and allow you to fly planes up to a maximum weight of 450 Kg. Also, the airspace you are allowed to use is more limited. However, this doesn’t of course need to lessen your pleasure of flying; on the opposite, in a smaller plane you feel the air movements more and can better “play” with turbulences… Flying lower also gives you a closer feeling of being a human “bird”. And you can still progress to Microlight Instructor – allowing you to fly all the time… or continue to the obtention of your Private Pilote Licence later-on, having already a lot of practical flying experience. 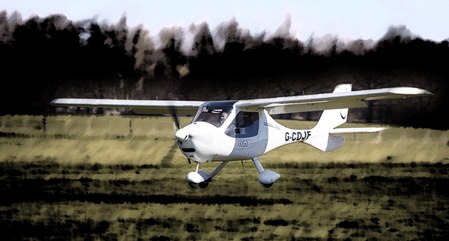 Cloudbase Aviation in Surrey is another reliable microlight flying school. 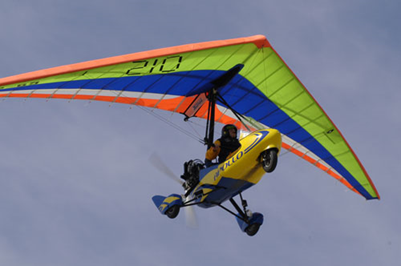 At Cloundbase you will have to train on one of the most advanced microlight aircraft. 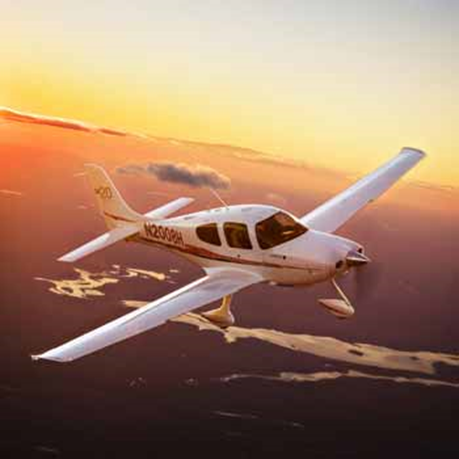 All the mentioned flight schools – and there are many more all-over Great Britain – offer “trial flights”, letting you get a first impression flying beside the instructor, who even during the trial flight will allow you to do some flight movements by yourself. If you dream of flying, the first thing you may do is ask for a “gift” trial flight – or save some money to finance it yourself. You may even do “trials” in several schools, and on various types of flying machines – to get an overview of the fantastic feelings and joy flying is offering you…. So grow your own wings!